My little guy and I enjoyed the young Black Panther’s adventure. This is a tale of friendship, leadership, and standing up for what is right! We are looking forward to the next edition!! A Delightful Aspen Creek Introspective! What made the experience of listening to Burn Bright the most enjoyable? Thank you Patty for this little gem! This story gave me a deeper understanding and respect for the Aspen Creek Pack. As always I learn new things and am drawn into the intricate back stories Patty creates for her characters, l really love them. Patty's attention to relationships, humanity, power, and diplomacy are always mesmerizing. The extra details about Mercy's legendary revenge stories are always a treat, I like how Patty reminds us how much Mercy is loved by Bran, Charles, and Samuel. I was very sad about who the traitor turned out to be, loved learning more about Leah, and wished there was more relevance given to Jonesy throughout the story. I wish we had Bran's perspective on the Mercy discussion and more about his evolving feelings for Leah. I loved the attention that is paid to the layered relationship between Charles and Ana; their discovery of each other and their constant support of each other in the face of so much change and tragedy is beautiful. I loved how Patty has had them evolve over time. I also loved the glimmers of growth that this story reveals about Charles' and Ana's relationships with their pack members. These characters are like beloved family and friends... buy this book and settle in for the adventure, you will not be disappointed! Holter is a gifted narrator who connotes feeling, urgency, and shifting perspective right on cue. He has great range and is able to give the characters very clear and distinctive voices consistently. Charles sounds as yummy as I'd imagined he would. My initial immersion was a little rocky but as the story progressed I found myself right at home in Artemis' enclave. Power, relationships, and community all converged into an enjoyable lunar escape. Definitely worth a purchase! I was not sure I could make it through a story representing the sum of my fears as a Black woman. 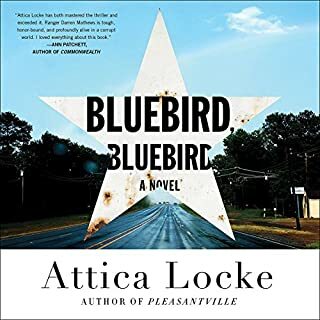 I placed my trust in the author and was not disappointed at all, well done Ms. Locke! Secrets, abuses of power, racism, duty, misplaced loyalty, and love all unfolded beautifully albeit painfully at times. The complexity of these characters, their relationships, secrets, and fears were gripping from the very beginning. I really appreciated Darren's struggles, failures, and triumphs. Although, I'm still crushing on Jay Porter, I pledge to read all the future installments of Darren's journey. The narrator did a great job conveying the myriad emotions Darren waded through from chapter to chapter! I am looking forward to the next book. 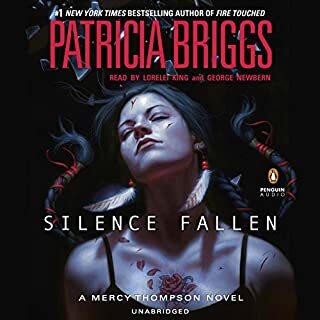 I really liked all the twists, turns, and subtrafuge, Patricia Briggs delivers every time! 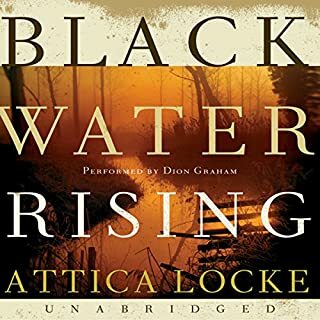 Lorelie King is a great narrator as always . 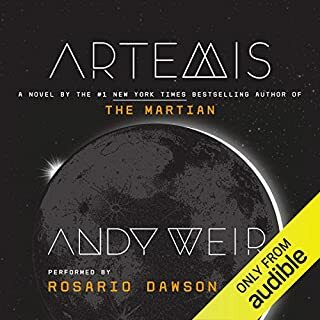 I did not like the introduction of a new narrator at all, the change was too abrupt and his narration inflection was flat and limited for the characters I have grown very acquainted with. I think Lorelie is great on her own and has wonderful voice range and inflection. 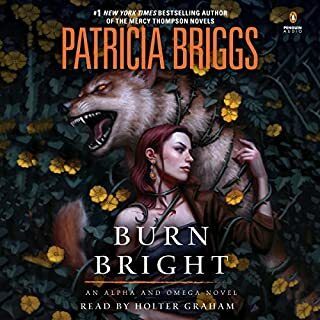 However if you must have a male narrator please ask Holter Graham next time, he is awesome for Alpha and Omega and I think he and Lorelie would blend beautifully together. Buy It! Share It! Read It/Listen to It Again! This is an awesome tale of community activism, power, influence, and politics. Attica created an engrossing story superbly told, full of flawed people, a troubled champion, southern charm, and a political campaign. 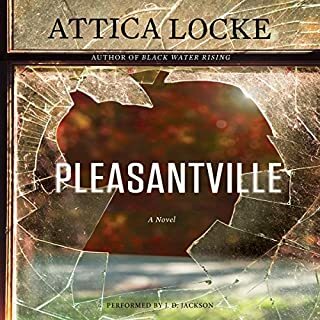 Jay Porter is honorable, intelligent, empathetic, and strong as he fights for Pleasantville’s survival. I loved the way secrets are revealed and characters unravel. I really appreciated the author's attention to the dynamics of family, community, and policy. Buy it, read it, and then share it! I loved the blending of historical and political perspectives. Jay's struggles and worries were compelling. The characters had debth and I really liked the reality of his relationship with his wife. Dion gave Jay's turmoil and fears life... He lifted up Jay's pride in being an organizer and belonging to something greater than himself. He did a great job leading us through the many turns of this story. I wanted more... more... more. I wish there was a bit more story to wrap up the path Jay takes at the end. 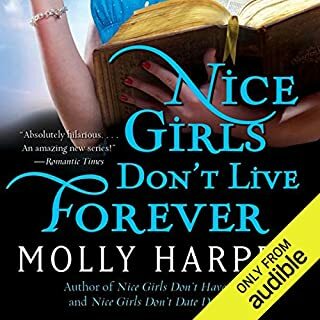 Harper & Ronconi make great audiobooks together! Would you try another book from Molly Harper and/or Amanda Ronconi? These books made me laugh out loud often! I enjoyed the pop culture references, the sardonic tone, and the Jane's snarky quips about her family. I have purchased all four books because they were so delightful! While the mystery portion of the story is not terribly thrilling, I looked forward to my commute everyday! If you are looking for an enjoyable story that will keep you smiling most of the day, then purchase the series. Molly Harper has comedic sarcasm down to the very last snarky thought any woman in Jane's situation would have. Amanda Ronconi is a great narrator! I don't think anyone could make Jane as snarky and lovable the way Amanda does! In this exciting addition to the Shadow Force series, Kell Roberts is a loner-but when he encounters Teddie, a beautiful young woman caught in the drug wars of Mexico, he makes it his mission to keep her alive. Would you try another book from Stephanie Tyler and/or Johanna Parker? I chose the series because I enjoy Johanna Parker as a narrator. While this is not my favorite in the series, I was entertained. I laughed a little and I enjoyed guessing what would happen next. I really like how each of the men have their distinct story lines each blending a little with the previous story. I prematurely pulled this book from my book club recommendation list because I was not sure that everyone would enjoy it given the detailed medical information throughout. 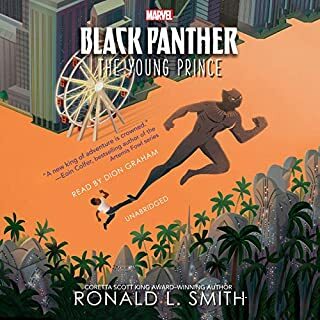 I was determined to be persistent for as long as I could, even after I sent the email to my fellow book club members suggesting another book, I kept reading and I am very pleased that I did. I thoroughly enjoyed this story down to the last line. 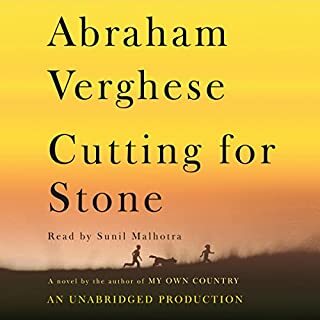 The characters are wonderfully flawed which draws you in and the story is so rich with unforgettable details regarding the people of African, the history of a hospital that saves a community, and the challenges of Ethiopia. I enjoyed the evolution of Marion’s family and his life. The story is sad at times but always very interesting.